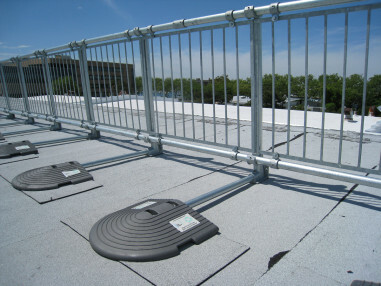 Definition: warning line system means a barrier erected on a roof to warn employees that they are approaching an unprotected roof side or edge, and which designates an area in which roofing work may take place without the use of guardrail, body belt, or safety net systems to protect employees in the area. Shall be erected around all sides of the roof work area. When mechanical equipment is not being used, the warning line shall be erected not less than 6 feet from the roof edge. 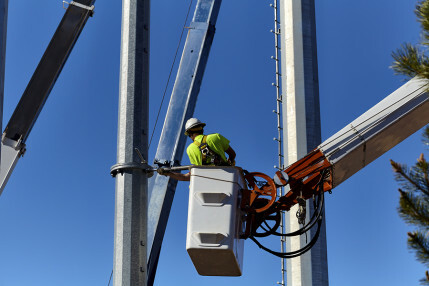 When mechanical equipment is being used, the warning line shall be erected not less than 6 feet from the roof edge which is parallel to the direction of mechanical equipment operation, and not less than 10 feet from the roof edge which is perpendicular to the direction of mechanical equipment operation. 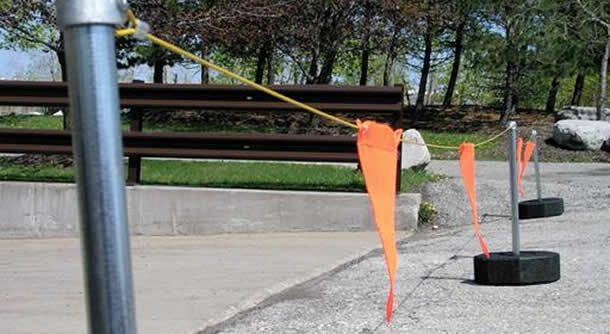 When the path to a point of access is not in use, a rope, wire, chain, or other barricade, equivalent in strength and height to the warning line, shall be placed across the path at the point where the path intersects the warning line erected around the work area. or the path shall be offset such that a person cannot walk directly into the work area. 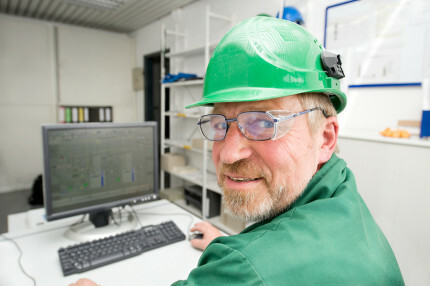 the rope, wire, or chain shall be flagged at not more than 6 foot intervals with high-visibility material. shall be rigged and supported in such a way that its lowest point (including sag) is no less than 34 inches from the walking/working surface and its highest point is no more than 39 inches from the walking working surface. stanchions shall be capable of resisting, without tipping over, a force of at least 16 pounds applied horizontally against the stanchion, 30 inches above the walking/working surface, perpendicular to the warning line, and in the direction of the floor, roof, or platform edge. The rope, wire, or chain shall have a minimum tensile strength of 500 pounds. No employee shall be allowed in the area between the roof edge and a warning line unless the employer is performing roofing work in that area. Mechanical equipment on roofs shall be used or stored only in areas where employees are protected by a warning line system, guardrail system, or personal fall arrest sytem. Visit the Warning Lines category of our web site to learn more about warning line systems.